The list of Canadian slots you can play for real money is a little smaller than many other countries around the world. For instance, one of the biggest slots software providers NetEntertainment with games like Starburst, Hall of Gods, and Vikings aren’t currently available to play. Many others do still licence their slot games to casinos that accept Canadian players, which leads us to this post. Here you’ll find which are the top three slots providers and a selection of their best games. One slots creator that’s been making waves across the casino industry in and out of Canada is the Swedish games studio, Quickspin. With slot machines like the Sticky Bandits slot, Ivan and the Immortal King, and Goldilocks and the Wild Bears providing players with graphically beautiful slots with great bonus features. Their games offer a wide range of slot themes to choose from, from diamond mining dwarfs to a whole range of fairytale slots, pirates, ancient Egypt and more. Mix this in with a variety of volatility games from low variance frequent win machines like in their Seven’s High slot to more high volatility big win slots like Sakura Fortune, and you’ve got an all-around gaming experience. With at least one new slot online out every month, they are a software company that keeps on surprising us and can be found at slots sites big and small. For progressive jackpots though you’ll have to look at the top spot in this slots list. 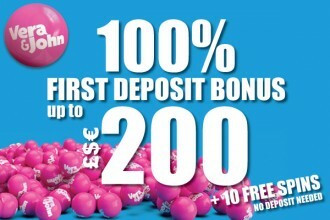 Another Swedish gaming company whose slots are popular in Canada is Play’n GO. With more slot games in their portfolio than Quickspin, these Play’n GO slot games offer the same attention to detail to graphics, sounds and features with many of their slot reviews receiving at least 4 out of 5 stars. What makes them so good to play? It’s the features of the game which often offer a thrilling gaming experience online or mobile. They haven’t just copied the features from another game and slapped into a new theme, but each game provides a unique take or different way of paying than the previous slot release. Play’n GO like to be inventive and were one of the first to move away from your standard 5 reel, 3 row slots. They started creating hit grid slots like Viking Runecraft and Gemix where you get wins for clusters of the same symbols rather than on winning paylines. Each new game offers something fresh, new theme, new bonus features with many of their higher variance slot machines rewarding you with up to 5,000x your bet. Play’n GO is one provider that’s easily one of our all-around favourites and one that you’re going to want to try. Microgaming is a software company with probably the largest range of slots available to play in Canada online, phone and tablet. Starting back in 2008, Microgaming keeps on growing year on year, not only providing you with their range of games but also smaller companies games that they’ve acquired or teamed up with like Just for the Win and Triple Edge Studios. If you’re a slots fan, you’ve probably played on their iconic Thunderstruck slot or at least heard of it. If not then their world record-breaking Mega Moolah jackpot slot certainly captures players attention with prizes that go into the millions. As you can probably guess, having been around for so long, they’ve covered almost every genre of slot theme you can think of along with having created bonus features that other software companies have imitated to some degree. With such a big collection though, not every slot machine they produce is great, pumping out 2 or 3 video slots a month, they tend to reiterate the game mechanics from one game to another just putting on a new theme. Something that Play’n GO and Quickspin tries to shy away from. Which is good in a way as it means if you don’t like the look and feel of one game, but like the gameplay you can probably find a style you do, improving your overall gambling experience. 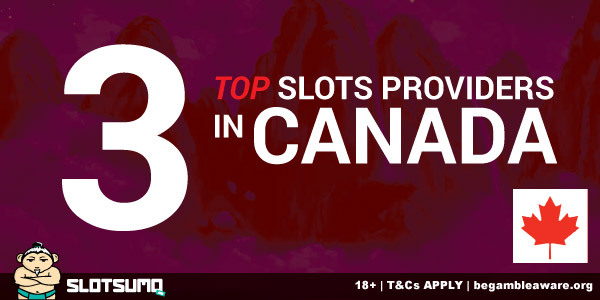 The list of Canadian slots providers keeps on growing, with more games studios popping up and offering a quality gaming experience no matter what device you play on. Not all are good but at least with our top slots list you’ve got hundreds of real money slots to give a spin at top quality casinos to boot.